LINOLEUM CARVING TOOLS for Beginners to Advanced Carvers. 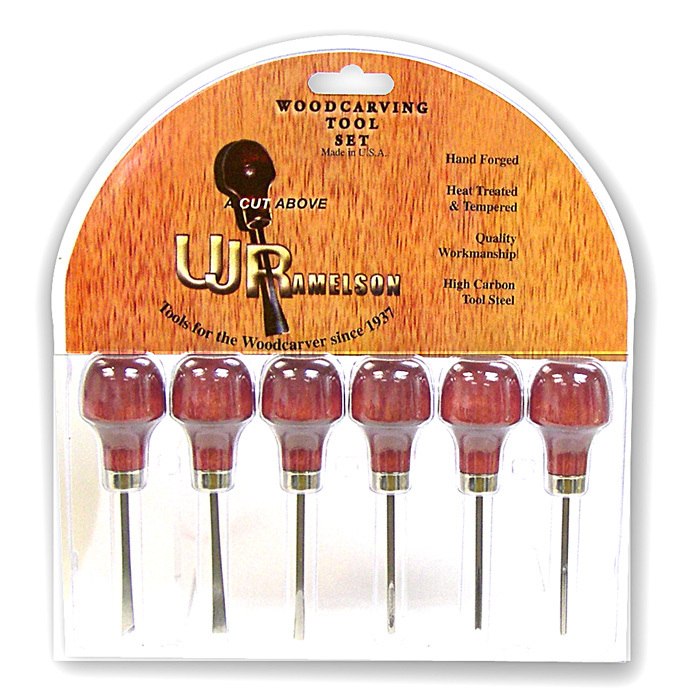 These outstanding quality Linoleum Carving Tools are made in the U.S.A. and can also be used for Wood Carving. LINOLEUM & WOOD CARVING TOOL SET with Palm Handles contains 1/8" veiner, 1/8" straight parting, 1/8" gouge, 3/16" gouge, 1/4" gouge and 1/4" skew. Carving Set" below to view. Linoleum Carving Tool Set, 6 Pc. can be viewed by clicking of Selections below. and KNIVES Type FLEXCUT in Search Window.